The other week I saw another blogger posted about a book she received for free from blogging for books. I was like--that can't be real--a whole book for freeeeeee? Mailed right to your house? SIGN ME UP. It's not a scam. You sign up, add a book (you can only review one at a time) and post a review to your blog and also to the website. Another thing--they have both e-books and print books. 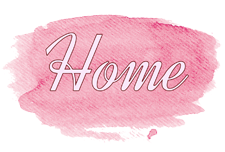 As I abhor e-books with the burning passion of a thousand sunsets, I was very surprised to see they offer both digital and print editions of books to review. In short, I'm hooked. The first thing that caught my eye was this knitting pattern book. Knitting books are relatively expensive (usually 20-30$) so I, as you can imagine, was beyond excited to receive this for free. I looked up what patterns come in it on Ravelry to see if there was anything I wanted to make. 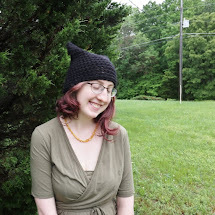 Several of the patterns appealed to me (I so want this hat and this necklace) so I requested to review Knockout Knits. The book came very fast, only taking 4 days to reach my house from wherever it shipped from. The pictures are beyond gorgeous, and each pattern is charted and written: a plus for me since I like to gravitate from one to the other when working. 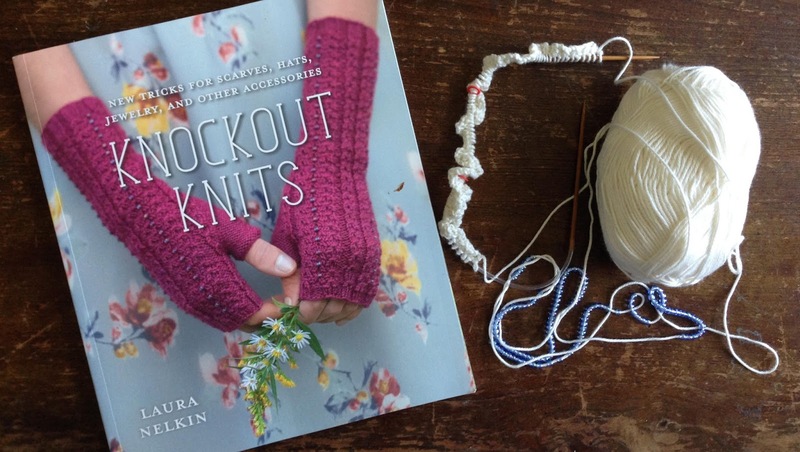 In the first few chapters Laura explains some new knitting terms that she will be using in her patterns. I think of myself as an experienced knitter, but there were are few techniques she went over that I had never heard of before. 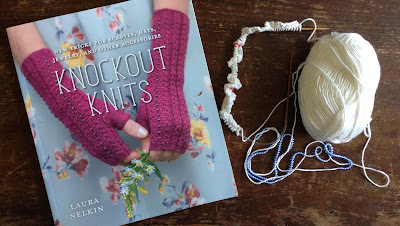 Also, all of her projects incorporate these "new" techniques in varying ways, so this book would still be good for a beginner knitter. Some projects use all of them (like the shawl) where others use only one (like the hat). The only downside that I could find is that there is no picture table of contents. In most knitting books I own, there is a page at the front where all the patterns are shown so you can just turn to the one you want to make without having to leaf through the whole book. But that is a minor setback. 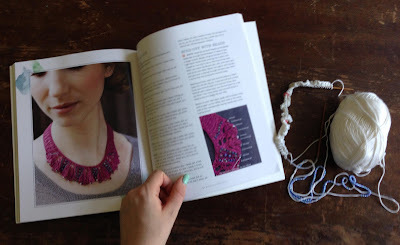 I still love the book and am planning on making both the necklace and the hat, as well as a few other things. I was given this book for free, all opinions are my own.